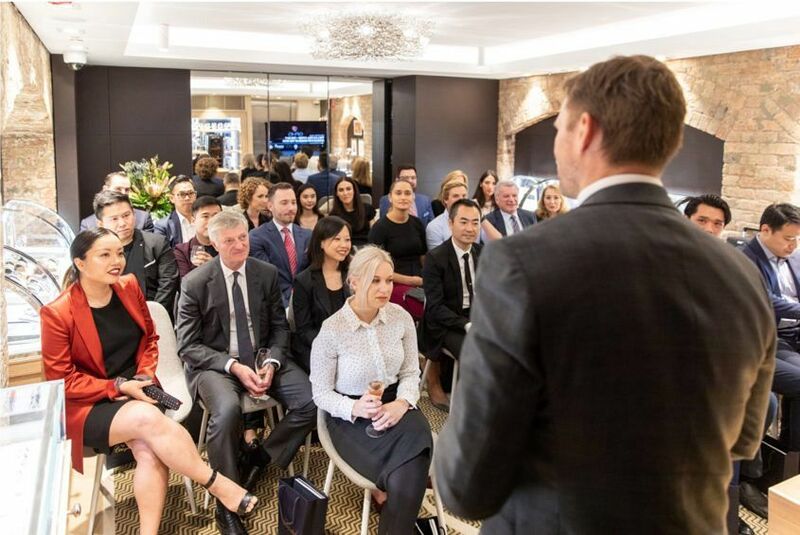 Late last week, Time+Tide was honoured to co-host an exclusive event at the Sydney Chopard boutique that centred around a tour of the key features of a genuine rockstar of a watch – the 2017 GPHG Aiguille d’Or winner, the extraordinary Chopard L.U.C Full Strike. Also attending the event were members of the Trivett Bespoke and Cure Cancer teams as well as some Baselworld 2018 Chopard L.U.C pieces. I explained to an intimate luxury cellar of just 25 people, in reverent tones, that standing next to the Full Strike, not just the model (which has been sold out worldwide since launch) but the actual watch that was on stage at the 2017 GPHG is, for a watch person, like standing next to the actual Bradley Cooper. But, in lots of ways, Chopard L.U.C winning the GPHG is far more impressive than Cooper’s potential Oscar win this year as a 43-year-old man. Because Chopard L.U.C is a mere 22-year-old. Chopard L.U.C was launched in 1996. The signs that it would go on to great things, and quickly, were there from the start. 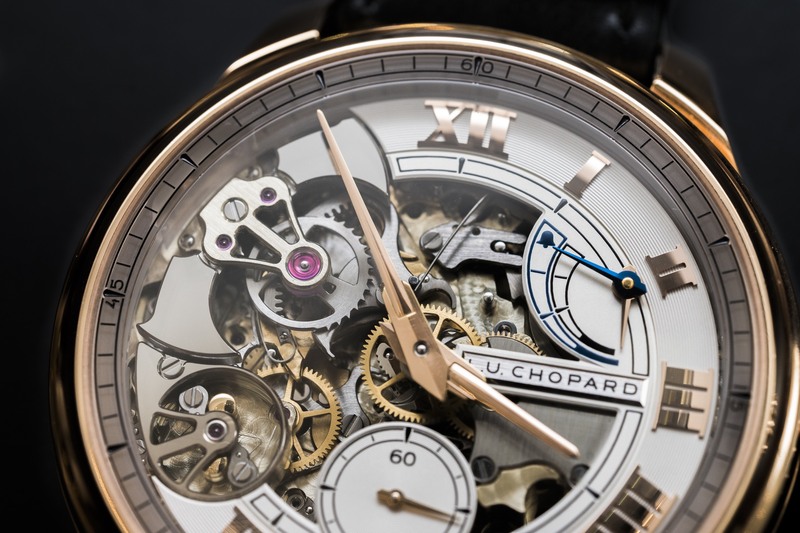 The first Chopard L.U.C movement developed, the 1.96, was declared by WatchTime in 1996 to be the “finest automatic movement being produced in Switzerland today”. 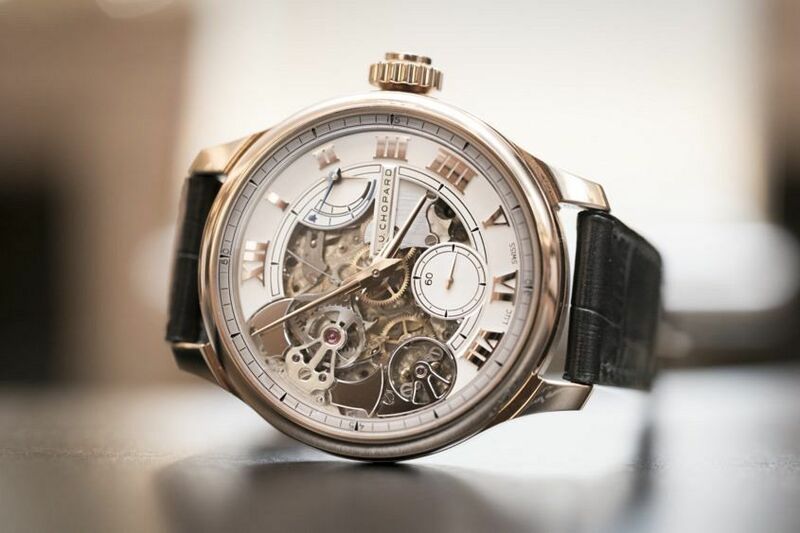 And if there was any doubt about how L.U.C stacked up against the best in the business, last year it vanquished two little old brands called Vacheron Constantin and A. Lange & Söhne to take home the big gong. 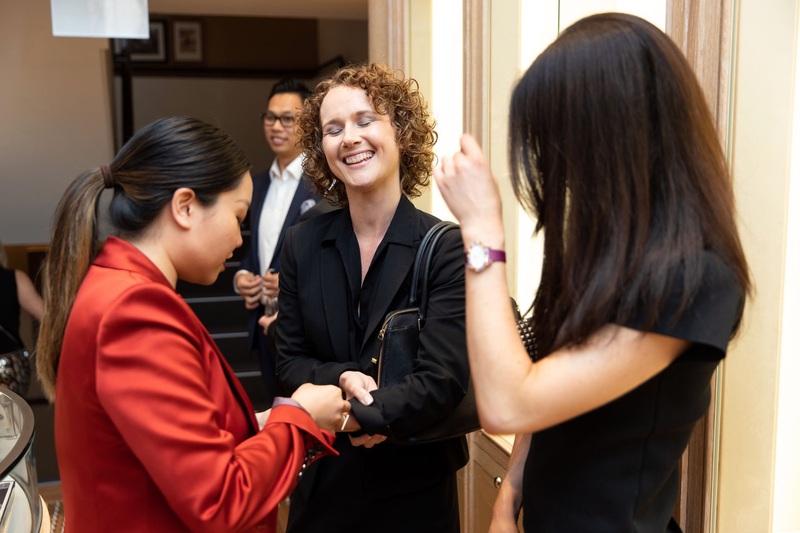 Guests were then regaled with several pushes of the crown-operated minute repeater — Chopard’s first — with the time set to eleven fifty-something for maximum impact. Oh, that sweet, pure, resonant strike! I likened the genius of the Full Strike to a miniaturised version of striking a champagne glass with a knife – as it’s essentially the same mechanics at work. An aluminium hammer striking a synthetic sapphire gong, unusually integrated with the sapphire crystal face, which helps to explain the ‘crystal clear’ timbre. Chopard will undertake a fundraising effort before Christmas in partnership with Cure Cancer. For more information, contact the boutique.